Andrew King is relatively ‘new’ to the world of children’s literature – although of course he’s been writing for years! 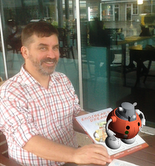 An engineer by day, Andrew is the creator of ‘Engibear’s Dream’ and I sent a copy of the book to a friend who has an engineering obsessed son and you can read her review here. To add this book to your home, school or library collection click here. 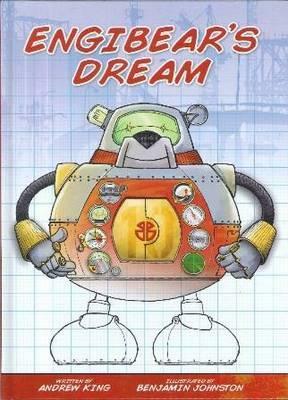 The book started as a way of making engineering more accessible to young children (there are very few engineers in literature for young children). However, we wanted to make the book something more than an instruction manual. Therefore, we included a storyline (in this case a story about perseverance) and tried to include humour. We have also added numbers so that it can be used as a counting book. Kelly and I spent time drawing and writing with our children when they were young; typically simple pictures and short verses. 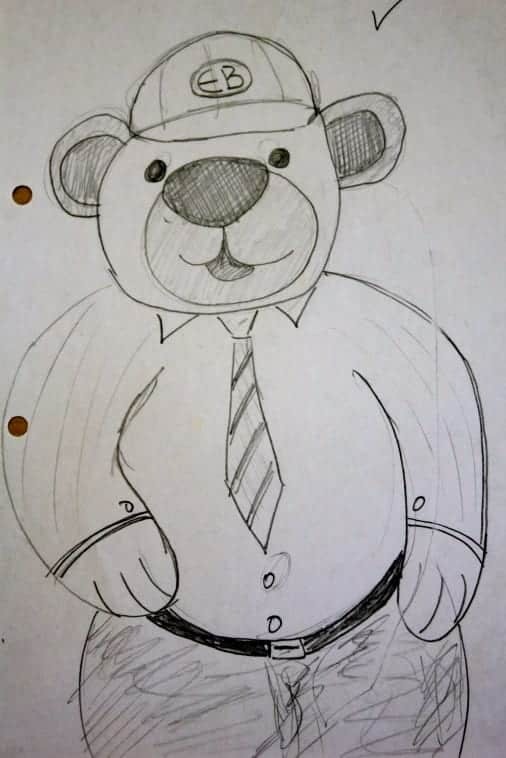 I tended to draw engineering related pictures and eventually we developed the characters Engibear and his Bearbot. 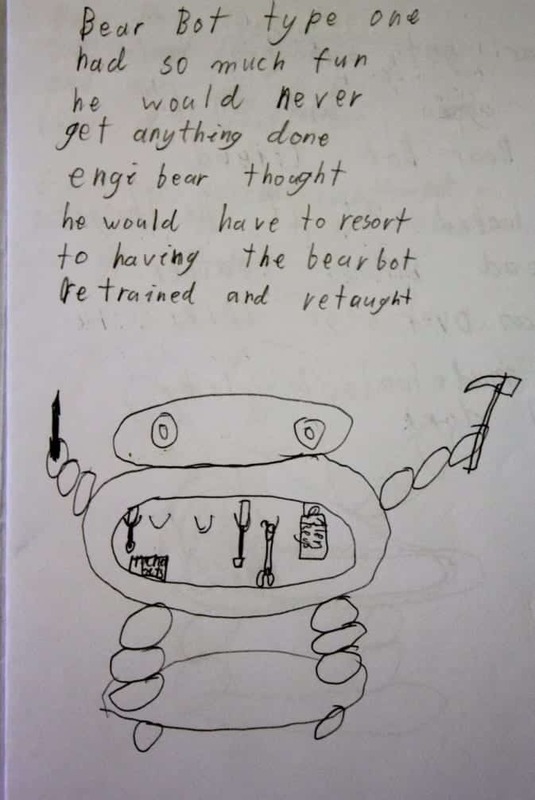 Many years later my children encouraged me to write a book about Engibear. 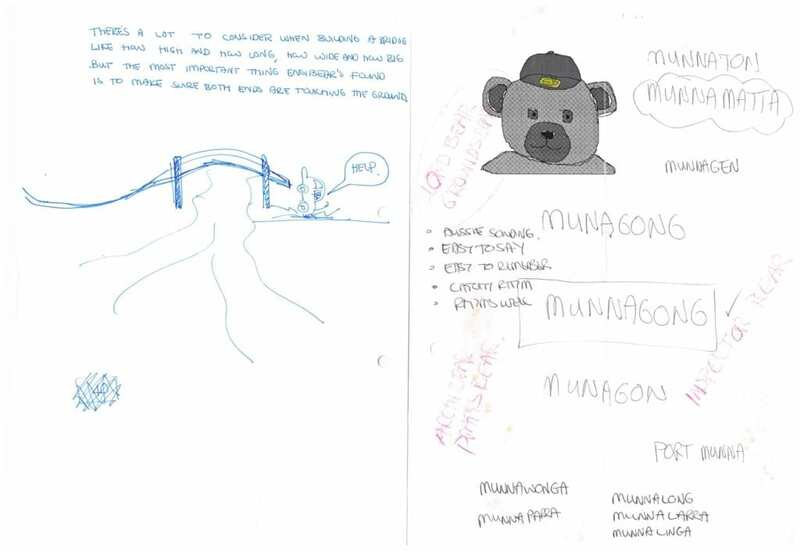 Figure 3 Engibear’s Bridge (this early sketch is the basis for the book which Ben and I are currently working on). I am usually woken early in the morning by our dog or one of the cats; this gives me a chance to do some writing before starting work. As a consulting engineer I then spend most of my day in offices with occasional visits to work sites. My dog usually takes me for a walk after dinner, if I get the chance I also like to play guitar. I don’t do a lot of creative writing at night but I often do associated administrative tasks. Ben typically draws at night and when he and I catch up over the phone it is usually fairly late. I am lucky because we have a home-office in which I write. I have a big desk and a table because I like to do initial drafts using pencil and paper (one of my favourite tools is mind mapping). I then use a computer to create the legible copies of my work. 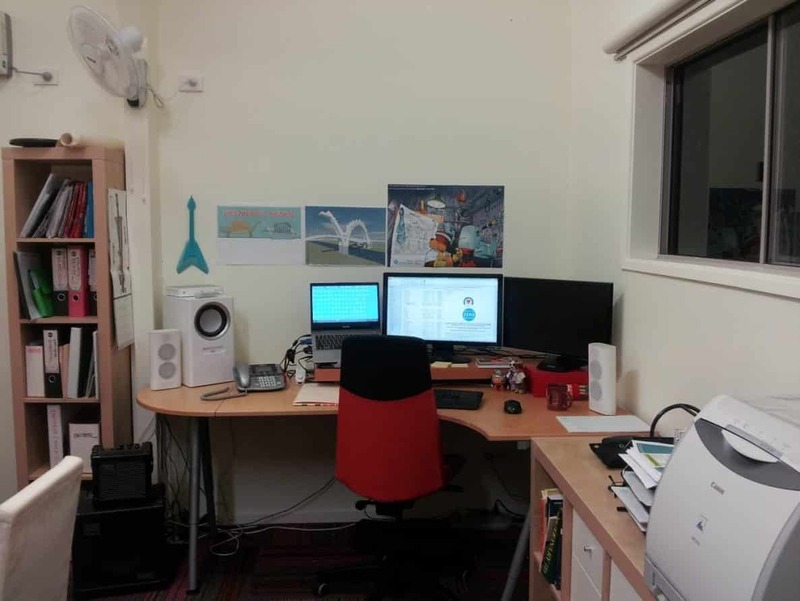 Note that my office can be quite tidy. However, sometimes it gets itself into a real mess and I have to clean it up. My favourite book character is Winnie-the-Pooh; a very wise and gentle bear. We go back a long way; my father was named Christopher Robin King, I am Andrew Christopher King. I spent my early childhood in England and books by A.A. Milne have featured for several generations in my family – my kids certainly enjoyed them. I even managed to do a thesis at university that was effectively based on the game poohsticks. I think we are all a mix of lots of things. I am a husband, father, son, brother, relative, friend, engineer, co-worker, band member, committee member, community member, author, etc. I am lucky that creating a book (one at this stage) has been part of my mix and I recognise that my mix is what lead to my book. If I had not created a book I would still be the other things in my mix. 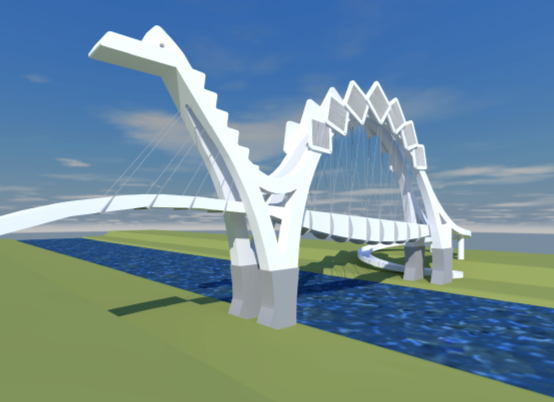 In a work sense, I enjoy engineering and I would still choose to do that (it can be a very creative profession). I have also been trying to develop a board game and I would really like to improve my bass guitar playing. There are days when I love carrots and days when I love chocolate (possibly more of the latter than is good for me). Coffee is fabulous first thing in the morning, hot chocolate tastes great in the evening and when working late at night a glass of wine seems to help. I don’t have the ability to listen to music while writing creatively, especially when focussing on the meter of rhyming verse. However, while I am doing administrative or simple tasks I do listen to a variety of music styles my favourites being blues and jazz. My partner, Kelly, thinks that Engibear’s Dream is autobiographical and often comments on Ben’s ability to capture my most common expressions. 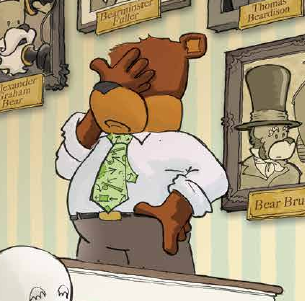 I know lots of engineers and Engibear does have some stereotypical “engineering characteristics”. He is always designing and thinking about better ways to do things and his dress sense includes a highly fashionable tie, rolled up sleeves, a pen in his pocket and work boots. Hopefully we can collectively learn to appreciate, respect and protect nature for its inherent beauty and the natural capital and ecosystem services it provides.